First Choice Housing Association has raised £7m of new loan funding from Triodos Bank to help fund its continued growth and development over the next five years. The funds will be used to develop a number of supported housing schemes across Wales, including the development of 130 new supported housing bed-spaces from September 2018 through to April 2020. The housing association, established in 1988, provides accommodation specifically for vulnerable people who require support to enable them to live independently within the local community. Working across Wales and Shropshire in partnership with 19 local authorities, the association provides high quality, bespoke homes tailored to suit the needs of vulnerable individuals with often complex support needs. 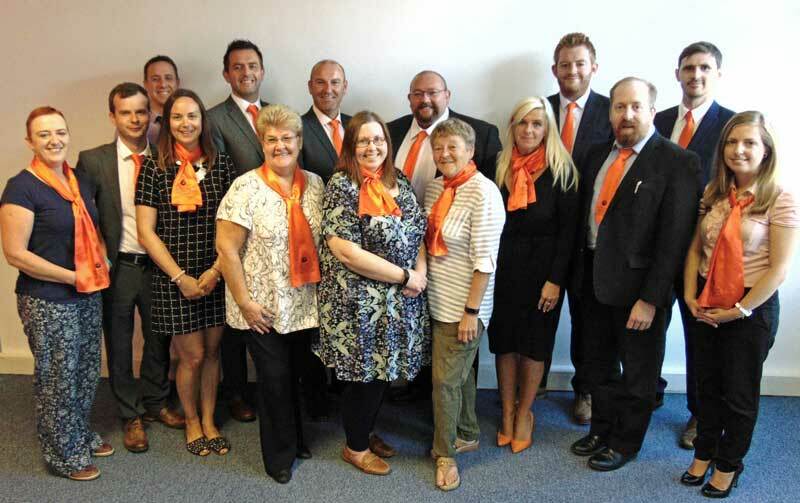 Pictured above is the First Choice Housing Association team, which includes Adrian Burke, Chief Executive (fifth from left). First Choice Housing Association currently owns 237 properties which provide homes to 700 individuals. Each property has been purpose built and developed to suit individual tenants. Over the next five years, the association plans to develop over 80 additional properties across Wales, providing homes to a further 350 tenants. This will help it further its mission of improving quality of life through quality bespoke accommodation that enables tenants to achieve independence, fulfil their potential and optimise enjoyment of life. Triodos Bank lends solely to organisations delivering social, environmental or cultural impact, and social housing is one of its key lending sectors in the UK. In the last 10 years the bank has arranged lending facilities of more than £300m to over 40 housing associations across the UK, including a number of associations in Wales. The bank first provided a £5m facility to First Choice in 2013, and this additional new funding takes its lending support to the association to £12m in aggregate.